The Cannes Film Festival signals the unofficial start to some of the most glamorous and highly anticipated events of the social calendar. Here is our round up of the most prestigious dates in the 2018 summer calendar. The great, good and glamorous of the film industry descend on the South of France for the invitation-only festival where filmmakers vie to be awarded the prestigious Palme d’Or award. Only the A list have a hope of snaring an invitation to THE wedding of the year when our very own Prince Harry marries American actress Meghan Markle at Windsor. 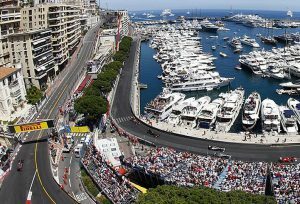 Playboys and princes lead the charge as F1’s finest gather to race around the main streets of the principality. The most prestigious race in the racing calendar combines history, glamour and prestige as superyachts jostle for top spot in the harbour and the ultimate vantage point from which to watch the racing. The most desirable and iconic of all the major tennis tournaments, for two weeks of each year the residents of SW19 are taken over by the world’s greatest tennis players as they take to the prestigious grass courts. Expect strawberries and cream and at least one day where rain stops play. Established in 1839, Henley is the most famous regatta in the world, attracting visitors and participants from all over the globe. 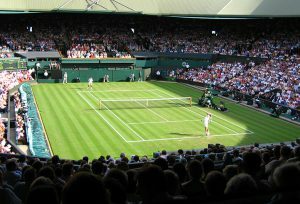 Synonymous with Pimms, strawberries and cream, it’s one of the most popular summer sporting events. Follow us on our social media accounts, request a quote, live chat with one of our highly experienced charter team, or simply catch up with the latest news and views on our blog. Why not sign up to all our news and updates here.